B U B B L E G A R M: Newbies.. I NEED to get that lipstick! At first I though it would be to bright but you in your swatch it looks perfect! @Chic Geek, I restrained because I thought it was going to be too bright too, but it's totally wearable, it's perfect. That leather bag is beautiful! I love your blog! beautiful colour lipstick, I'm definitely going to try this one. that lipstick is gorgeous!!! and the earrings are so beautiful! great picks! That bag is gorgeous too! 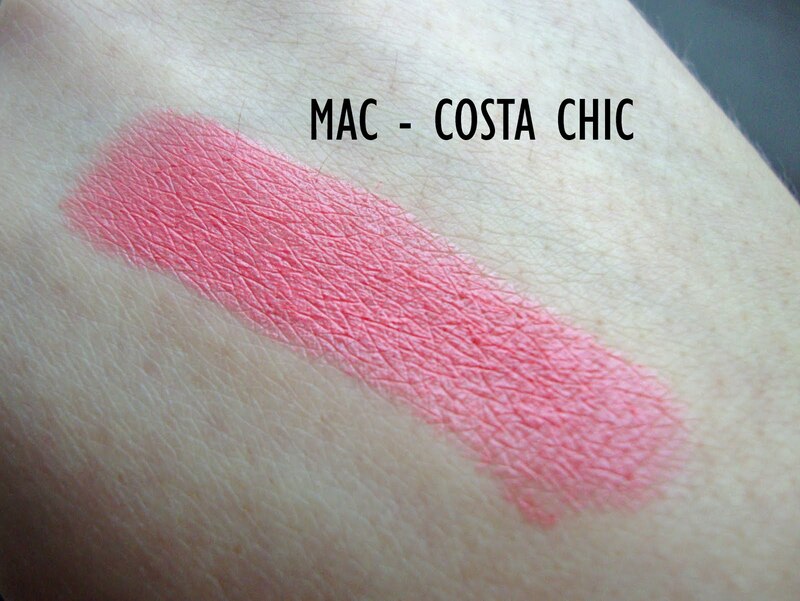 Your new mac lipstick is awesome! I went to Victoria's Secret thinking their semi annual sale was still going on, but it wasn't. :( but I did get a bronzer. I also purchased some crest white strips... I hope they work! Lovely buys hun, haha shopping makes me very very happy too ;) The shade of the lippie is gorguz, still haven't ventured towards coral shades yet but this may persuade me to give em a go! Great finds! I love the lipstick and now need to see and try it. omg I've been thinking the same thing, I have no restraint lately..just can't stop the shop :) Luckily I've been more into shoe shopping than makeup lately..but not like I need more of either! I love that new handbag..whatta deal! I have been wanting this lipstick for a long time, it looks so beautiful! Reminds me of summer. I want to get all the peachy colours of the YSL range for summer, MAC jazzed is my all time favourite colour for summer! I bought some nice gold plated earrings from Liberys. Bags are my weakness and that one is LUSH! £45? A bargain i say!! Shopping also makes me happy - but i still haven't been paid since Christmas and i'm still spending! EEEEEK! Every time that I try to purchase Costa Chic, it's out of stock. This colour is awesome. Very pretty the earrings, I love the turquoise. Love the colour of this lipstick. wow...that is a nice lip shade. Follow u, follow us back?